අපට payza account එකට Credit card වගේම Debit card එකත් add කරගන්න පුලුවන්. රැකියාවක් කරන් නැති කෙනෙකුට නම් Credit card එකක් ගන්න අපහසුයි.මොකද තමන්ටම කියලා Credit card එකක් ගන්න නම් අපිට ස්ථිර රැකියාවක් තියෙන්න ඕන වගේම ලොකු මුදලක් තැන්පත් කරන්න ඕන ගිණුමක් open කරන්න.එහෙම ගිණුමක් තියෙනම් හොදයි.නමුත් Credit card ගිණුමක් නැතිඋනත් ප්‍රශ්නයක් වෙන්නේ නෑ. Visa Debit Card එකෙනුත් කරගන්න පුලුවන්. 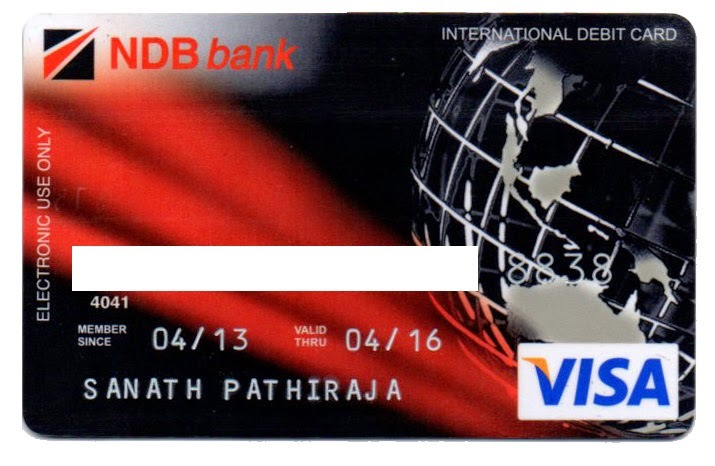 මේ සදහා Sampath, Commercial, HNB ,NDB bank යන බැංකු වලින් ලබාදෙන Visa Debit Card කර ගන්න පුලුවන්. *බැංකු ගිණුමක් open කිරිමෙදි හො තියෙන Visa Debit Card සදහා bank card center call කරලා හරි කියන්න "මට මේ crad එක online transaction කරගන්න පුලුවන් වෙන විදියට active කරලා දෙන්න කියලා." 2014දි card එකක් Add කිරිමේදි එම එකෙන් 1-2$ අතර අගයක් අපේ bank account එකෙන් කපාගෙන එම අගය credit card statement එකේ හරි debit card එකක් නම් call center කතා කරලා අහගන්න.ඉන්පසු payza එකේ card validate කියන තැනට එම අගය දාලා validate කරගැනීමයි. 2015දි මෙම ක්‍රමය වෙනස් වී ඇත. දැන් කියන්න යන්නෙ 2015 අලුත් විදියට card එක add කිරිම හා active කිරිම. හරි අපි බලමු කොහොමද Payza ගිණුමට VISA Credit/Debit Card එකක් නිවැරදිව Add කරගන්නෙ කියලා. 01).මුලින්ම payza account එකට log වෙලා Wallet වල Credit card click කරන්න. 02).පහත රුපය පරිදි Add a Credit Card click කරන්න. 03).එතකොට මේ වගේ ෆොර්ම් එකක් එනවා.නිවැරදි විස්තර ඇතිව පුරවන්න.මතක තියා ගන්න payza වලට Master card add කරන්න බැ. මෙතනදි CVV number එකක් අවශ්‍ය වෙයි.එක පතෙහි පිටුපස ඉලක්කම් 3කින් තියෙන number එක වේ. Card පත add කරන් අවසානයි. දැන් බලමු Card පත Active කරගන්න විදිය. 01).මුලින්ම card add කලා වගෙ Wallet වල Credit card click කරන්න. 02).එතකොට පහත ආකාරයට document submit කරන්න page එකක් එවි. Debit Card එකට bank statement එකක් නොමැති නිසා Bank passbook එකේ Address page එකයි මාස 3ක කාලයක් ඇතුලත උන ගණුදෙනු ඇතුලත් page එකයි scanned කරලා එක document file එකක් විදියට හදාගෙන Credit Card statement කියන තැනට පහල තියෙන Choose file button එක click කරලා හදගත්ත document file එක upload කරන්න. *Document file scan කරන්නම අවශ්‍ය නැ පැහැදිලි photo එකක් විදියටඅරගන්න පුලුවන් නම් එකත් ප්‍රශ්නයක් නැ. මෙතනදි Bank passbook එකේ ඇති Address එකෙහි First Name Last Name (මුල් නම සහ අග නම) පැහැදිලිව තියෙන්න ඕන. Credit Card එකක් නම් තියෙන්නෙ ප්‍රශ්නයක් වෙන්නෙ නැ.Credit Card එකට bank statement තියෙන නිසා. scanned කරලා පහත ආකාරයට හදාගෙන upload කරන්න. card number එකෙහි අන්තිම ඉලක්කම් 4 පමණක් පෙන්න පරිදි හදගන්න. 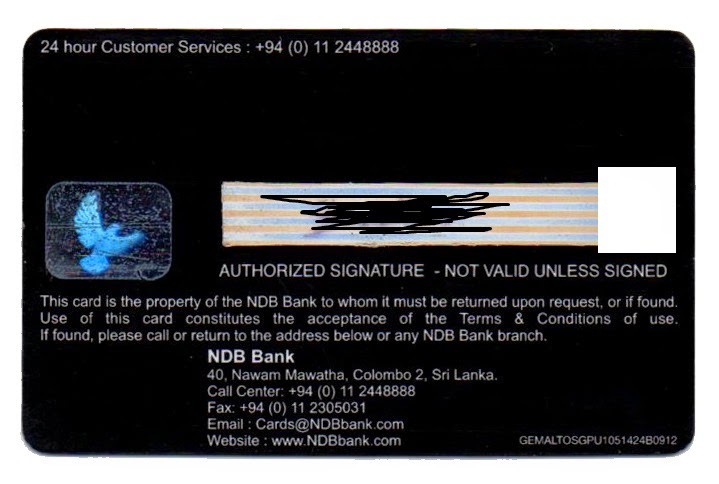 04).කලින් එක වගෙමයි Back of Credit Card කියන තැනට card එකෙහි පසුපස scanned කරලා පහත ආකාරයට හදාගෙන upload කරන්න. Card එකෙහි CVV එනම් ඉලක්කම් 3 පමණක් ඇති number නොපෙනෙන පරිදි හදාගන්න. 05). Document සියල්ල upload කරලා complete කරගන්න. දැන් Document upload කල දවසෙ ඉදන් business (නිවඩු හැර ගණුදෙනු කරන) දවස් 3-4ක් අතුලත Card එක Validate වෙනවා. 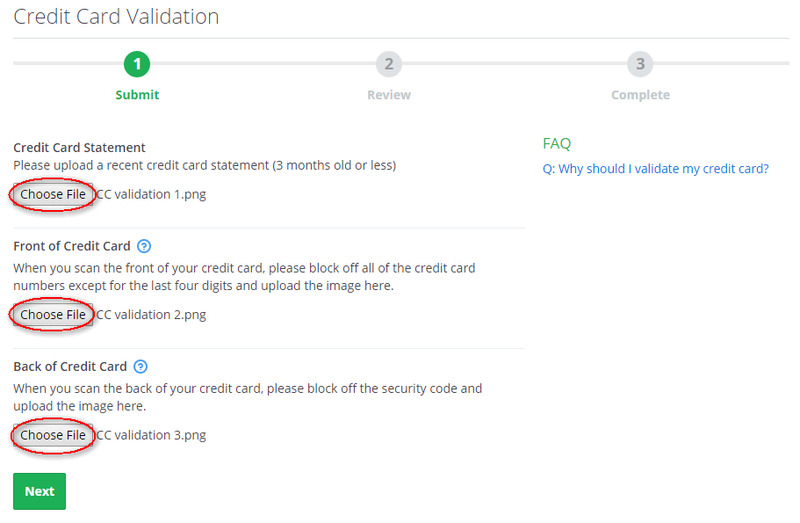 Card එක Validate කරන කොට Bank Passbook එක Accept කරන් නැති වෙයි සමහර විට.එතකොට කරන්න තියෙන්නෙ Submit Tickets එකක් දන්න ඕන. මුලින්ම පහල Link එක click කරලා යන්න page එකට. 01).මෙ විදියට page එකක් එයි. Message එක හුගක් විස්තර ඇතිව type කරන්න. ඊටපස්සෙ ආපහු document සියල්ල Attached කරලා submit කරන්න. දවස් 2-3ක් වගෙ කලයකදි ඔයාගේ card එක validate කරයි. Post එක ටිකක් දිග උනා.ඊළග එකකින් ආපහු හමුවෙමු. kawru hari udaw karandako plz aiye oya kohomada salli ganne. Become a member and earn by viewing our advertisements. Increase your sales and traffic by displaying multiple advertisements. * Reach millions of clients.